The scheme sounded promising when it was launched. Replace all 400 million incandescent bulbs across the country with energy-efficient compact fluorescent lamps (CFLs). This will save 10,000 MW per hour, sufficient to light 100,000 houses with four CFLs each. But three years on, the Bachat Lamp Yojana of the Centre has failed to take off in most states, let alone deliver. The frustration was palpable at the stakeholders’ meeting convened by the Bureau of Energy Efficiency (BEE) on January 20. The state electricity distribution companies (discoms), which were to facilitate the public-private partnership (PPP) project, hurled allegations at the investors. Power-starved Uttar Pradesh, for instance, said it is eager to switch from incandescent bulbs to CFLs but no one is ready to invest in the scheme. West Bengal did manage to rope in a carbon finance firm, C Quest Capital, for investment, but the project has not moved beyond the agreement stage. Punjab said its investor for the scheme, the Energy Efficiency Service Ltd (EESL), called off the agreement last year after holding up the project for a year. “We are looking for an investor again,” said H S Bedi of Punjab State Electricity Board. Mathew Mendis, president of C Quest Capital, clarified: “We do not like to delay. But it is a difficult time. As an investor we need to consider the financial viability of a project.” C Quest Capital is working on 15 BLY projects in different states. Susheem Pandey of HPL India, a CFL manufacturer and investor in a Bachat Lamp Yojana (BLY) project, said: “When BLY was launched, it sounded attractive. Gaps started appearing as it progressed.” The major problem, as the investors present at the meeting point out, is the deepening of recession in Europe, which has led to the crash in the international carbon trading market. CFLs are eight to 10 times expensive than incandescent bulbs and hence, BEE says, are used in not more than 10 per cent of the households. The scheme aims to bring down the cost of a CFL to Rs 15, at par with that of an incandescent bulb, and install the lamp on a door-to-door basis. The price difference is to be recovered under the clean development mechanism (CDM) of Kyoto Protocol of the UN Framework Convention on Climate Change (UNFCCC). To make matters worse, CFL manufacturing cost has increased by 20-30 per cent in the past two years, after China tightened its grip over triband phosphor—a rare earth mineral used to coat the inside of the tube so that it emits soft white light. The sluggish pace of the scheme can be gauged from the fact that only 42 projects have been registered so far. 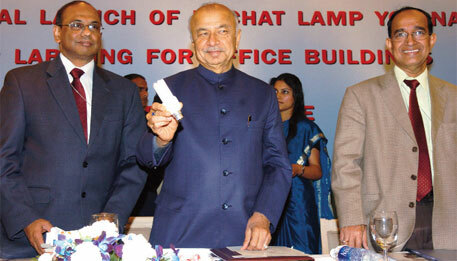 CFLs have been distributed under 28 projects, of which 20 are in Kerala alone. Three have managed to submit complete project documents to UNFCCC and are yet to receive CERs. There is no deadline for meeting the 400 million CFLs target. Investors say it is risky to do business in these states. Poor and interrupted power supply shortens the life of CFL. “Generally we give a year’s guarantee to replace a fused CFL. But frequent blowouts lead to losses,” says an investor who did not wish to be named. CDM allows 6 per cent failure rate in a year. Higher failure will affect CER returns, he adds. Investors say they are also losing money as instead of meters for calculating the actual operating hours of a CFL per day, BLY has fixed 3.5 hours a day as the standard duration. “It is too low and will affect CER returns,” says another investor, adding that the average operating hours of CFLs are around five. “Using meters is not only expensive, it makes CER calculation cumbersome,” says Sampath Thatikonda, project engineer with BEE. The investors says BEE installs metres with CFLs in standalone CFL-CDM projects. The tendering method followed in BLY is another reason the scheme fails to woo investors. Since the price of a CFL is fixed, regular tendering method where the lowest bidder gets the tender is not applicable. Instead, investors say, discoms ask for CER sharing. The investor who promises to share maximum CERs gets the project; some even have to promise 5-16 per cent of CERs. Why should the investor who shoulders the entire financial risk as well as implements the project, share CERS? asks Pawan Sharma, general manager of Halonix, adding that discoms already make a profit from the scheme by saving power. Pandey of HPL India suggests companies should rather be selected on the basis of early completion of project, and any delay should call for penalty in the form of CER sharing. Several investors, who had participated in the scheme with enthusiasm, are reconsidering their plans. HPL India, for instance, which distributed 3.7 million CFLs in Bengaluru last year, is hesitant to invest in new BLY projects. In fact, none of the major CFL manufacturers like Havells India, Osram and Halonix participate in the scheme. Most prefer doing standalone CFL-CDM projects. “BLY is a nonstarter,” says Sunil Sikka, president of Havells India Ltd. It hinges on the fluctuating international carbon market. Variable pricing is the last thing an investor wants, he adds. ave replaced all its incandescent bulbs with CFLs. The state government pooled in Rs 40 crore. Its energy conservation agency Energy Management Centre (EMC) borrowed Rs 55 crore from its discoms to buy CFLs and implement the project. “The project started in March 2010 and was completed within four months. The state saved around 615 million units last year,” boasts K M Dharesan Unnithan, director of the EMC. “We will return the loan to discoms with an additional 11 per cent share from CERs once we receive the CERs,” says Unnithan. Investors support the model, but several states are reluctant to follow it. “BLY was started on the PPP model assuming that states and discoms are cash-strapped,” says Singh of DVVNL. There is hope after the revival of Kyoto Protocol in Durban. “I am expecting CER prices to reach €9-10 by the end of this year,” says Ajay Mathur, director general of BEE. But at the end, it is just a projection. Girish Sant, coordinator of Prayas energy, a non-profit in Pune, says schemes like BLY where payback period can be as short as six months do not need to seek international finance. Sant suggests if utilities offer good quality lamps and recover cost through monthly installments through electricity bills, most consumers would want to shift to CFLs. As of now, the scheme remains a bad deal for investors. If Kerela can do it then I don't see why the other states are lagging behind, it is not a tough target. It is the duty of every citizen to buy the CFLs at market rate and not wait for the subsidies, a recent news item has indicated that the per capita income has increased, the households with a little bit planning can buy the CFLs at market price and contribute towards energy conservation. Who has verified the savings is not disclosed. BLY is simply a foolish scheme and was destined to meet this failure.The scheme designers must be questioned for wasteful expenditure of public money. CAG should investigate the whole matter.